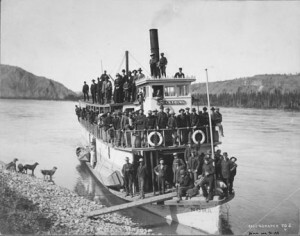 The sternwheeler Nora full of passengers, Yukon River, 1899. Case and Draper Photo. UAF-1976-35-30, J. Bernard Moore Family Papers, Album #1, University of Alaska Fairbanks Archives.